Before there was an inn and a fountain, the present town of Fountain Inn was half Indian Territory bisected by the "Old Indian Boundary Line." It was established in 1766 by a treaty made between Old Hop, the head of the Cherokees, and Gov. James Glen of the province of South Carolina. The Cherokees used this area--a region of dense forests, canebrakes, and springs of water--for hunting deer, turkeys, panthers, bears, wolves, wildcats, and even buffalo. Only a few settlers had moved to the territory prior to the Revolutionary War. The Fairview Presbyterian Church community was not settled until 1786. 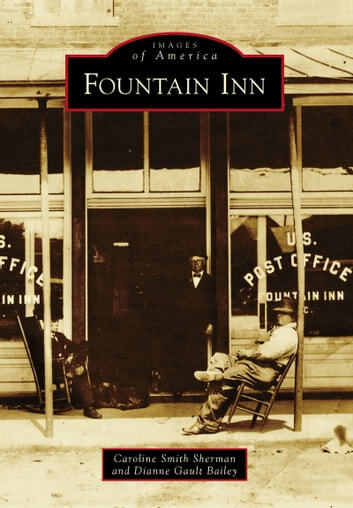 Around 1830, a stagecoach stop was established where there was not only an inn but also a spring of water that gushed two feet in the air like a fountain. 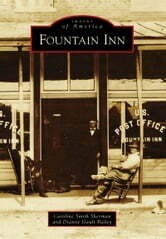 In time, the stop became known as Fountain Inn. After the War Between the States, Noah Cannon, a resident of the Greer area, bought up huge tracts of land, and so began the village that was chartered in 1886.